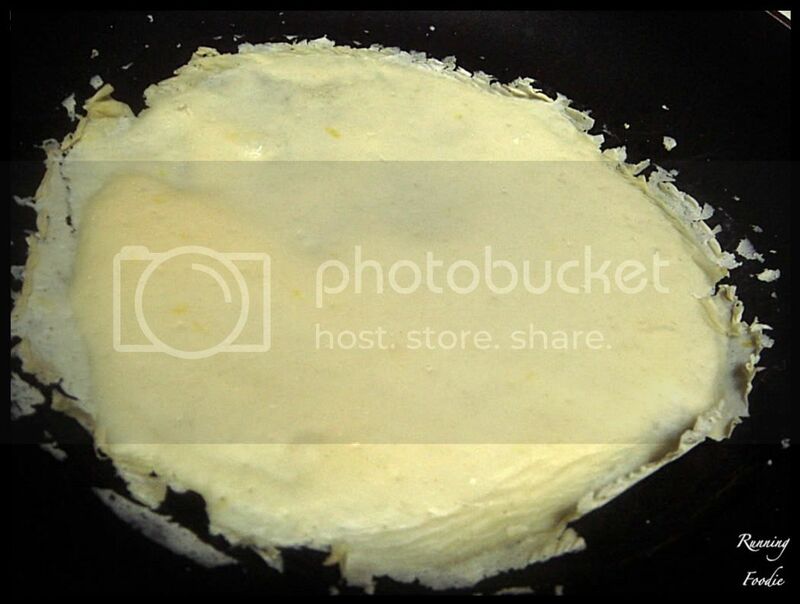 As I've talked about in previous posts, a family tradition is to make birthday crepes for each person in our family. I wouldn't say we look forward to it more than the birthday cake, but just as much. 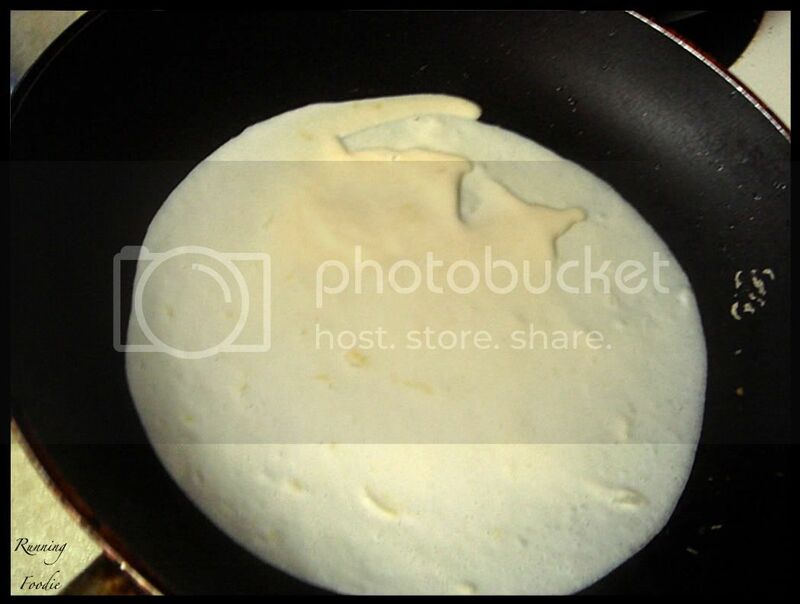 You know how they say that the first pancake should always be tossed? I don't know what they're talking about; it never happens to me. But the first crepe of the batch always is more wonky compared to the rest, though I manage to keep it from turning into a disaster zone and it's a usable crepe in the end. Now this is a practically perfect crepe. 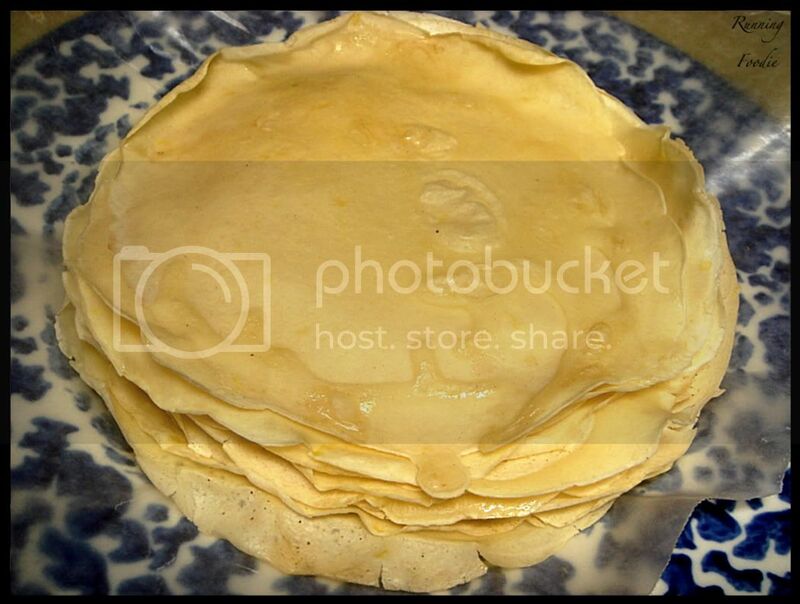 I managed to get exactly fifteen crepes out of all the batter, enough for everyone to have three crepes each. That, my foodie friends, is what I call an epic situation. I'm in the middle of a project that needs... tweaking. That's right, T-w-e-a-k-i-n-g. Usually, I roll up the crepes like a Cuban cigar, but for the future's sake I thought that it should have a different look. For this plate, I folded the crepes into a triangular shape. I like the way it looks and I'll probably do it like this for everyone from now on. 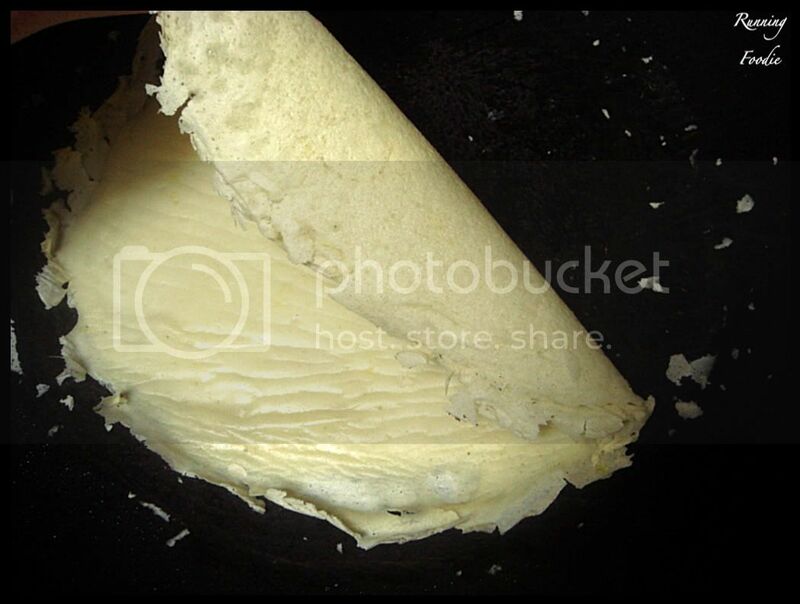 Speaking of which, what is your favorite type of crepe and how do you like to eat it? P.S., I forgot to mention that Key Ingredient was kind enough to feature the recipe I used for baked oatmeal on their blog, The Back Burner, thus the Key Ingredient badge under on the left sidebar. Hayley wrote a very nice article, so thank you once again! 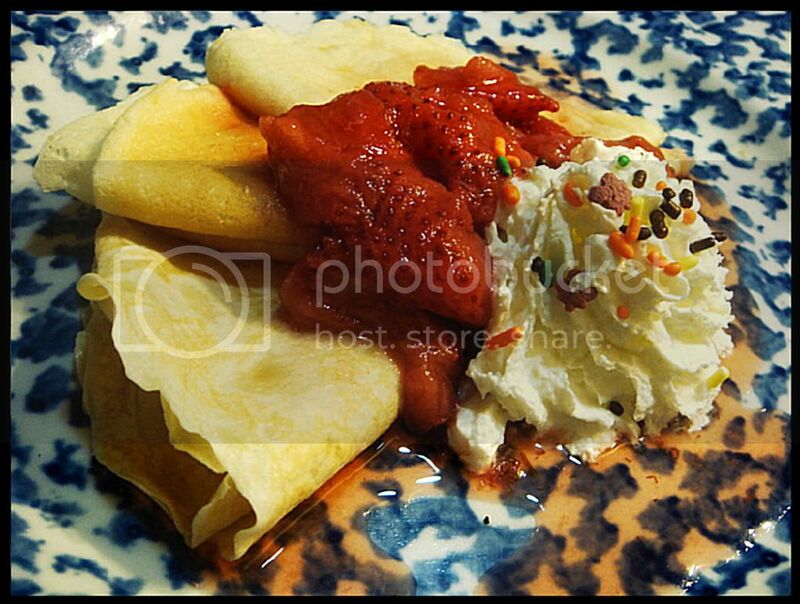 Dessert crepes are amazing. I love blueberry filling! Birthday crepes and a quote from "You've Got Mail!" I love the idea of a birthday tradition and yours sure looks tasty. 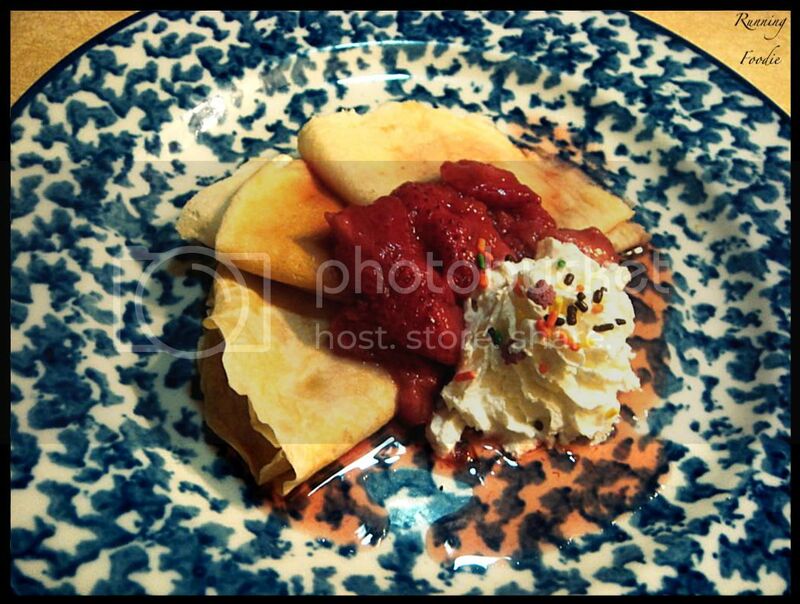 Crepes are delicious, we normally have ours with lemon juice and sugar, Nutella's good too! Adam - If I had more skillz I'd have shaped it into a swan or something. Sam - Simple, I like it! I have used a honey butter filling before that was good, but not Nutella.